Cheese and wine nights are great, but when you combine them with learning some fun hands-on skills and hanging out with a great Sydney ceramicist, then it becomes something special. 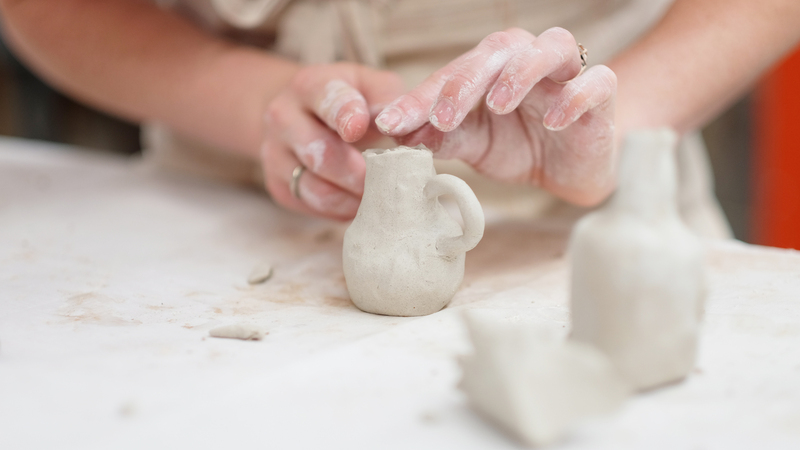 Join local creative Bea Bellingham at her studio in Marrickville for her popular Tina Teeny Tiny Vessel workshops. Here, Bellingham will teach you the basics of ceramic and pattern design and have you shaping your own delightfully odd vessel in no time. Bellingham's got the cheese and crackers (and all the tools) covered, so all you have to do is bring a fine bottle of wine and a playful attitude. Running a successful studio based on her own blemished and wonky creations, throughout these workshops Bellingham provides up-close assistance to each of her attendees and makes sure you're heading home with a perfectly imperfect product. Upcoming workshops are scheduled throughout the year. They're strictly limited to 26 people per class, so we recommend booking sooner rather than later — they sell out fast. And don't forget to BYO wine. If you do miss out, Bellingham also runs wheel-throwing classes and ceramic mug and planter workshops. Or, if you're planning for a special occasion, you can also arrange a private class. Check Bea Bellingham's website for future classes.